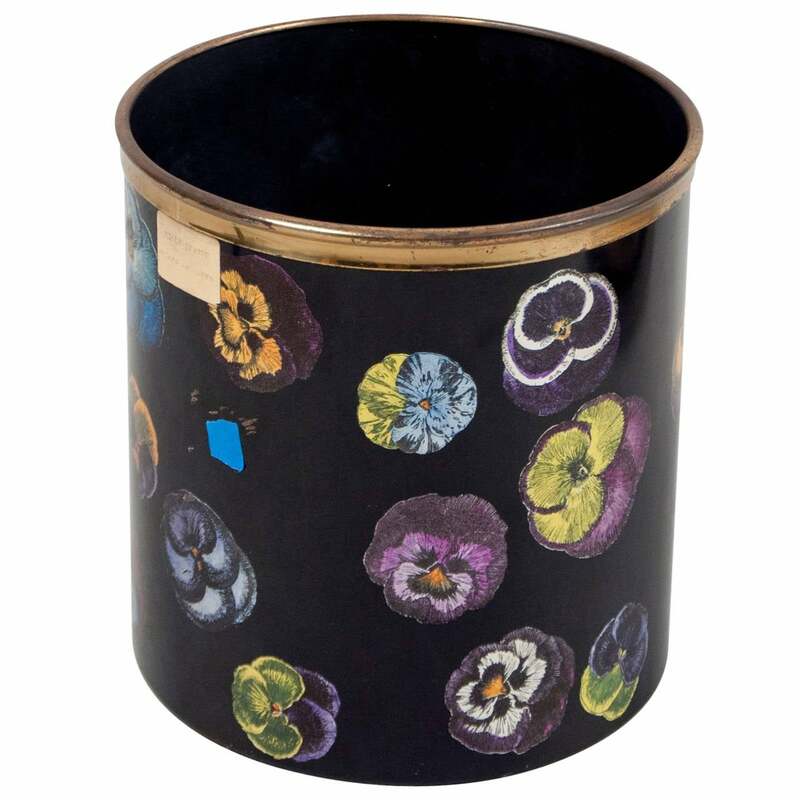 Lithographed brass waste basket decorated with various flowers. Original label intact. 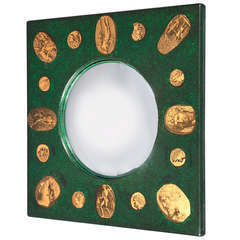 Mirrored convex glass, framed in lithographed wood, depicting numerous classical cameos. Original label on the back. Metal umbrella stand in trompe l’oeil lithography depicting a Collie. Original condition. Beautiful Piero Fornasetti book ends. Decoration black and white, circa 1970. Elegant and decorative Mid-Century Modern umbrella stand. Lacquered in white and gold strips. Probably by Piero Fornasetti, 1950s, Italy. Magazine rack with decor of exotic birds, hand-painted and lithographically printed. With legs and divider in brass. Label: Fornasetti Milano - Made in Italy, 1950s. An iconic mid-size screen depicting a library shelf on one side and musical instruments on the verso. A period example, circa 1954. Measures: 53 1/2" high.